Let's say 'Russia' over and over. Despite the news. Hearken! I read Alain Bosquet's 7 part poem translated from the French by Jean Malaquais. Bosquet was born in Odessa; in this poem he returns to his birthland to find his poetic voice. Bosquet lived and worked in many countries, changed his citizenship multiple times, and fought in multiple armies during World War II. In this poem he returns to his birthland where he receives no welcome. He will not allow an identity to be "contrived" for him, yet he is tired of false words, struggling with what reads to me like a thought/body/lyricsoul divide. In him, he says, there is civil war. I am its sole poet. He is the sole poet of his own experience. So am I. So are you. As I say in the intro, I inherited this book and it's been in a stack waiting for me to familiarize myself with it. The title of this poem caught my attention because Russia--our "enemy" these days in our free-market of thoughts, memes, and ideas--is a word constantly heard on the news. It is a nice word: Russia. In this poem I get to say it a lot. The poet returns to Russia to find his identity. I feel like I need to do that, too, after a whole year of self-as-loose-paper buffeted in the daily gale of disorienting news. I am anchoring myself in the things that feed the person I best can be. Finding my own personal weight. Of late I'm reminded of a (I think) Buddhist conception of a demon: a demon gains strength from the energy we feed it. We feed it energy with our fear, our attention, our disgust: any emotion that is not loving compassion feeds a demon. I feel I've been feeding a demon this past year. So I made myself a demon protector. These guys appear a lot in Tibetan art: they look an awful lot like actual demons but their fierceness fends off the true soul-sucking monsters. Below is a pdf download to my demon queller in case you need one, too. There is a basket on top of her head where you can tape anything you need your demon queller to focus on. I set my demon queller right where I put my keys and bag and phone when I come into my apartment. The demon queller as a pdf. 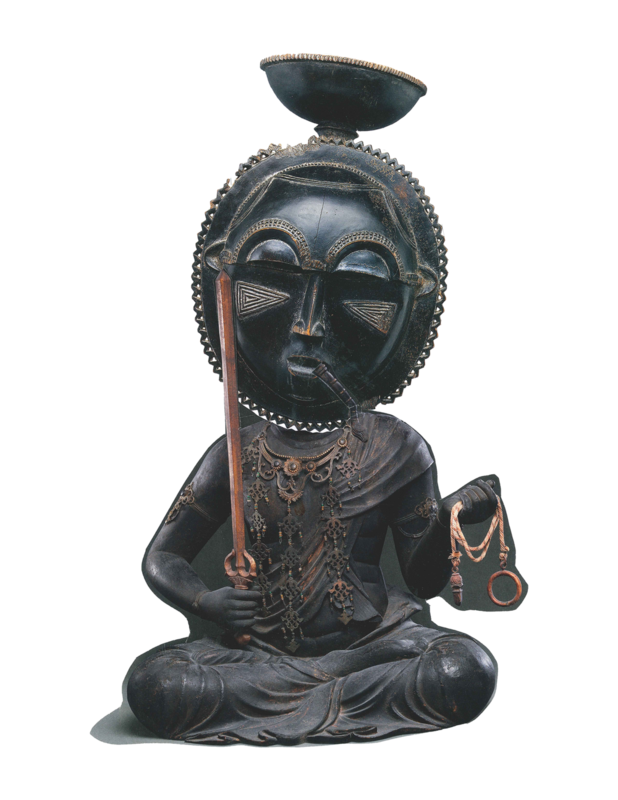 It mashes up the chief of the Five Wisdom Kings feeling wrath, and an African moon mask, both from the Metropolitan Museum of Art. Bosquet's obituary in The New York Times. Bosquet's obituary in The Independent. Get a copy of the book I read from.